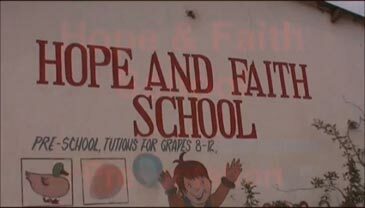 Faith and Hope Christian Community School is located in Ngombe township near Lusaka, the capital city of Zambia. The land on which the buildings are situated is owned by the school and consists of 3 separate lots. The school has been in existence since September 2003 when it was started to provide quality Christian education to the vulnerable and orphaned children in the area. Today it serves over 715 students from K through grade 12. It has a teaching staff of 20 teachers and 6 auxiliary staff. School divisions include pre-school, lower primary, upper primary, junior secondary and senior secondary. The school is registered with the Ministry of Education in Zambia.